Augusta Circle Elementary serves 536 students from Kindergarten to 5th Grade. enrolled in this school. It is one of the good schools in Greenville County having consistently achieved awards and honors through the years including South Carolina Red Carpet Award for having a family friendly environment, Palmetto’s Finest School award, the National Blue Ribbon School of Excellence award, and multiple Palmetto Gold/Silver awards for consistently attaining high levels of performance, growth, and progress in academic learning. Some of Augusta Circle elementary school’s programs include Accelerated Reader, Student Centered Digital Broadcast, Easrly Reading Intervention, Early Math Intervention, After school Science Enrichment offered by Roper Mountain, and Extended Day Program.The school has a rating of 9 in GreatSchools.org. Facilities at Augusta Circle include Promethean boards in all classrooms, a media center, music room, gym, art room, computer lab, and science lab. 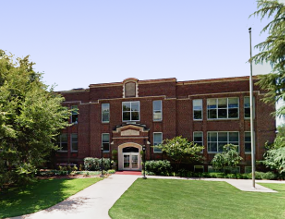 Browse our extensive Augusta Circle Elementary School zoned real estate listings and find great deals and properties in Greenville including condos, townhomes, single-family homes, and more. By narrowing down your search, you’ll have more time to learn about those homes that fit your price range. When you find a home near Augusta Circle Elementary School that really piques your interest, just send us an email or call our buyer hotline at 864-881-1258. Every community or subdivision assigned to Augusta Circle Elementary School in Greenville, SC is unique in itself for various reasons. These subdivisions vary in price ranges, home features, and community amenities. Below you will find our list of featured neighborhoods and subdivisions in Greenville to help you get started in finding a home near Augusta Circle Elementary School. If you have any questions about any of these neighborhoods don’t hesitate to contact us.